The use of chemical antibiotics in healthcare is the worst part of medical practice. To continue doing it today borders on stupidity. Why would you poison yourself while trying to cure your body from an infection that your own autoimmune system is naturally designed for? A new CDC report highlights the dangers. Here’s how to stay safe. Americans are taking antibiotics that are not just unnecessary but also potentially harmful, according to a new report from the Centers for Disease Control and Prevention. The report evaluated antibiotic overuse nationwide using information from 17 studies conducted between 2000 and 2016. It found that doctors regularly overprescribe medication for patients they see in office visits, hospitals, and nursing homes. What’s more, they frequently prescribe too many doses and recommend the wrong types of antibiotics, such as powerful broad-spectrum drugs rather than more targeted ones. Here, what you need to know about the CDC’s findings and how to keep yourself safe from antibiotic overuse. Outpatient settings (medical and dental offices, emergency departments, urgent-care clinics): Here, the CDC offers a bit of good news. Between 2011 and 2014, antibiotic prescriptions written in doctor’s offices and clinics dropped by 5 percent. “There has been a concerted effort over a number of years to really reduce antibiotic use for colds, coughs, and illnesses that don’t require antibiotics,” says Lauri Hicks, D.O., director of the CDC’s Office of Antibiotics Stewardship. But still, in 2015 a full one-third of antibiotic prescriptions dispensed from pharmacies outside of hospitals were unnecessary. Most were given to people with upper-respiratory conditions, which are often caused by viral infections, although antibiotics are effective only against bacterial infections. Between 2008 and 2012, about 80 percent of adults with bronchitis, for instance, received antibiotics when they shouldn’t have. And the report notes that even when antibiotics are the correct treatment, the prescriptions might be for too many doses or for drugs that are much stronger than needed. In 2010 and 2011, the latter occurred about half the time for ear and sinus infections. Hospitals: Despite the CDC’s push in recent years to reduce antibiotic overuse in hospitals, rates have remained steady over the past decade. That means half of hospital patients still receive antibiotics. Nursing homes: Although there’s less research on antibiotic use in elder-care facilities than in hospitals and outpatient settings, the available studies show a worrisome pattern, Hicks says. The CDC report found that up to 75 percent of all antibiotic prescriptions given to people in nursing homes are inappropriate. According to data from early 2014, 11 percent of all U.S. nursing-home patients, who may be at greater risk of C. diff than the general population, are taking antibiotics on any given day. One common contributor: Nursing-home residents often receive antibiotic treatment for what are thought to be urinary tract infections but aren’t. It’s common for older adults to have bacteria in their urine without a true infection, Hicks notes. Get antibiotics only when you need them. “If your doctor diagnoses a viral respiratory infection, don’t push for an antibiotic. It’s not worth the risk,” Lipman says. If the doctor recommends an antibiotic, ask whether you or your child really needs it and if so, whether the drug is the recommended first-line treatment for your illness. Be wary of fluoroquinolones. 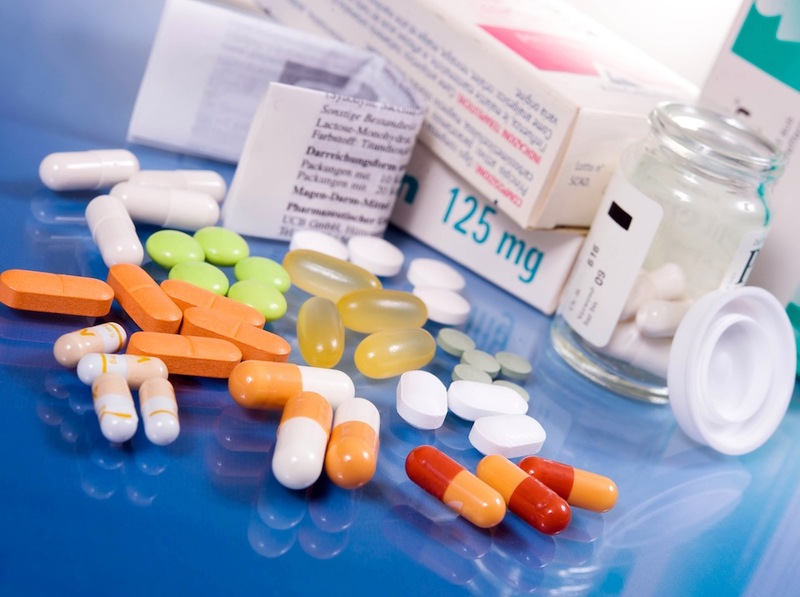 These powerful medications can have dangerous side effects, including permanent, disabling damage to the central nervous system, muscles, joints, and nerves. And they aren’t worth the risk for common infections such as bronchitis, sinus infections, and urinary tract infections. If your doctor prescribes a fluoroquinolone, such as ciprofloxacin (Cipro and generic) and levofloxacin (Levaquin and generic), for one of the infections above, question whether you need this kind of antibiotic for your condition. Ask your doctor how else you might ease your symptoms. For mild ear infections in children older than 6 months who have no other underlying conditions, the American Academy of Pediatrics recommends watchful waiting to see whether the problem subsides on its own. For colds and coughs, try rest, drink plenty of fluids, breathe moist air, and use OTC pain relievers such as acetaminophen (Tylenol and generic) or ibuprofen (Advil and generic) when needed. Question whether you or your relative really need an antibiotic. Nursing-home staff shouldn’t test for or treat a urinary tract infection unless symptoms such as frequent, bloody, or cloudy urination, pain during urination, or fever are present. Insist that nursing home staff members wash their hands before they touch you or your loved one to avoid spreading bacteria. Ask whether the antibiotic your doctor wants to prescribe is the first-line treatment for your condition. Fluoroquinolones can make people especially prone to a C. diff infection. Insist that hospital staff members wash their hands when they enter your room, and ask that the room be cleaned if it looks dirty. Bring your own disinfectant wipes for commonly touched objects, such as doorknobs and the TV remote. Ask every day whether a catheter and other tubes, such as those for a ventilator, can be removed. These increase your risk of serious infection. Request that hospital staff use an electric hair remover rather than a razor if you have to be shaved, because nicks from a razor can provide an opening for bacteria. Well, don’t just stop at these antibiotic precautionary measures. Use only the safest, yet uncompromising antibiotic of them all – electricity! Electric current doesn’t discriminate any parasites and viruses. Most of all, it doesn’t leave toxic man-made chemicals, especially heavy metals that accumulate over time in our nervous system. Just let your body’s own mechanisms for survival work properly by not depleting its energy sources through physical abuse, but by enhancing it further with good nutrition and adequate rest. Don’t forget to detoxify properly through water dilution!